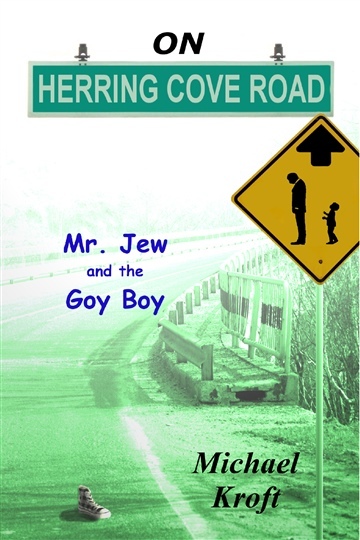 The first of the four stand-alone novels in the evocative and not-so-nuclear family saga series called Herring Cove Road where a small group of troubled individuals, dealing with their own personal issues, accidentally come together to form a family unit, and then while struggling to maintain it, are forced to deal with its dark results, such as: racism, death, murder, suicide and much more. Taking place primarily in the 70’s, with believable characters and mostly situated in several areas of Halifax, Nova Scotia, the series chronicles the actions (and their results) of an old and introverted Jewish man, a struggling mother, her naive and lonely son, and a boy streetwise beyond his years. Be warned, each of the novels in this touching series offers an emotional rollercoaster ride from its beginning to its surprising and, perhaps, shocking ending. ABOUT THIS VOLUME Mr. Rosen, once an amusing extrovert with a reputation as a prankster, is entering his senior years as a stoic, thirty-year converted introvert who hates change, has little to no interest in people and is more than content to have his wife sit at the navigator’s seat of his life. Since becoming a practising introvert, there have been almost no changes in his life, and for the few that there were, his wife had walked him through them, including the recent move to a much smaller home in a lower/middle class neighbourhood where he lives directly next-door to a racist whose nine-year old son addresses him as Mr. Jew. Mr. Rosen had seen the move coming, and he is very much aware of the enormous change to come sometime in the, hopefully, far off future; though, he refuses to give it any attention. That change will come on slowly and painfully and will eventually force him to chart his own life’s route. This heartwarming, feel-good novel offers a rollercoaster ride of emotion as Mr. Rosen's world of habitual routine begins to implode while on a collision course with the chaotic world of an innocent child, its troubled mother and vengeful father. **Five Stars** "A touching and thought provoking book." -Dan Alatorre, author of "Savvy Stories: funny things I learned from my daughter"
**Five Stars** "I cried -only to have a smile brought to my face before the tears even dried." Carol H.F.
*Warning* The novel contains a section of strong language and involves story elements of death, alcoholism and domestic violence.